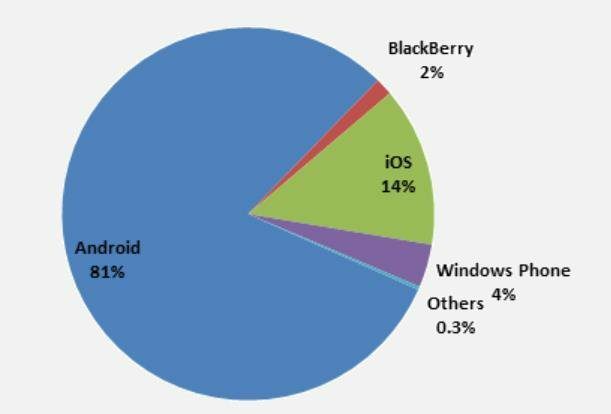 BOTH ANDROID AND IOS increased their dominance in the UK smartphone market during the three months ending April, at the expense of Blackberry. That's according to the latest statistics from Kantar Worldpanel Comtech, which shows that for the three months ending April 2014, both Android and iOS made gains in the UK smartphone market. Android's share climbed one percent giving Google a 52.8 percent hold on the market, while iOS grew 2.2 percent despite no recent iPhone launches, giving Apple a 30.2 percent slice of the market. This likely was at the expense of Blackberry, which saw its marketshare sink by 3.9 percent, leaving it with a mere 1.6 percent of the UK market, just a month after the firm's CEO admitted he would consider leaving the handset market if Blackberry's smartphone woes continue. Windows Phone, which seems to have wrestled third-place away from the struggling Canadian phone maker, saw its market share grow 0.9 percent during the three month period, giving it a 10.1 percent share. Android's one percent quarterly growth isn't just at the expense of Blackberry, Kantar noted, and is likely to be credited to the emergence of smaller manufacturers. The research firm revealed that Huawei saw 123 percent growth during the quarter, with little-known manufacturer Wiki also demonstrating double-digit growth during the three month period. Dominic Sunnebo, stategic insight director at Kantar Worldpanel Comtech, said, "Across Europe there is an accelerating trend of fragmentation in the handset market as smaller brands gain real traction. "Established brands like Motorola and Sony are showing resurgence and newcomers to the European market such as Huawei and Wiko are challenging the established names. Consumers are starting to realise the true cost of handsets, and as a result they are shopping around to find cheaper alternatives." Last Friday, Apple Inc (NASDAQ: AAPL) AAPL +1.13%, the maker of the iPhone, and Google Inc (NASDAQ: GOOG) GOOG +1.40%, the company who developed Android, agreed to drop all lawsuits against each other concerning the unlawful use of patents in their Smartphone products. In reality, the truce is between Google’s Motorola Mobility unit and Apple, who were fighting several patent litigation cases over smartphone technology. The end of it will be termed as the end of the most high profile lawsuit in the technology sector in this decade that started back in October 2010. Prior to the settlement, these two companies were fighting 20 lawsuits in the United States as well as in Germany. Since the agreement is between only Apple and Google, it will probably not end other intellectual property rights litigations, specifically the ones between Apple and Samsung. However, the collaboration between the mother company of Android indicates that Samsung may get some breathing air from the deal as well in near future. Such feuds motivated Apple to fund patent troll companies like the Rockstar, whose sole purpose is to harass Android manufacturers in court. The decision from Apple to ceasefire came amid the ruling when it only won US$ 120 million damages against Samsung when it was seeking a US$ 2 billion payout. Also, the court found in that case that Apple itself infringed one of Samsung’s patents and awarded Samsung with US$ 158,000. 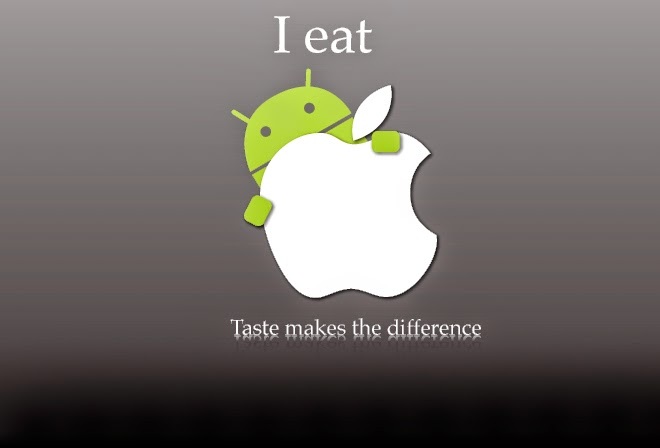 According to ABI Research, Android based Smartphones and the iPhone hold around 81% and 14% market share respectively. The legal feud has been disrupting the development of both platforms and, according to IDC analyst Al Hilwa, the truce will ultimately help consumers. “Anything that can make the ecosystem more interoperable, and for people to kind of easily move from one ecosystem to another is good for everyone,” he said.